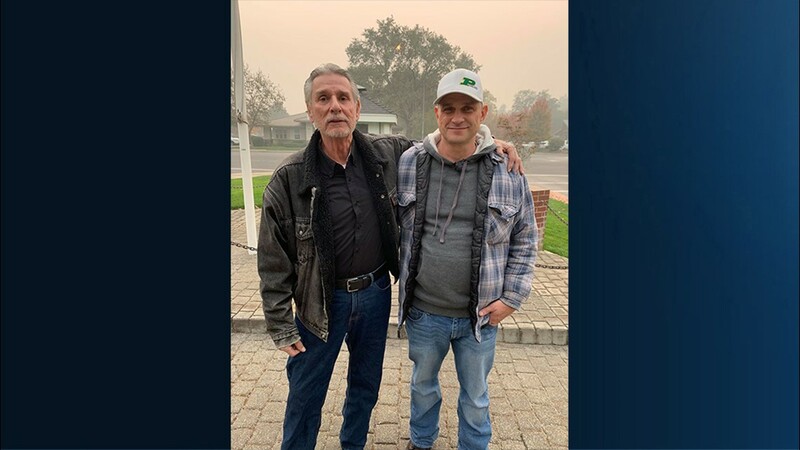 PARADISE, Calif. -- A month after the Camp Fire, some homeowners have returned to see what's left of their property. 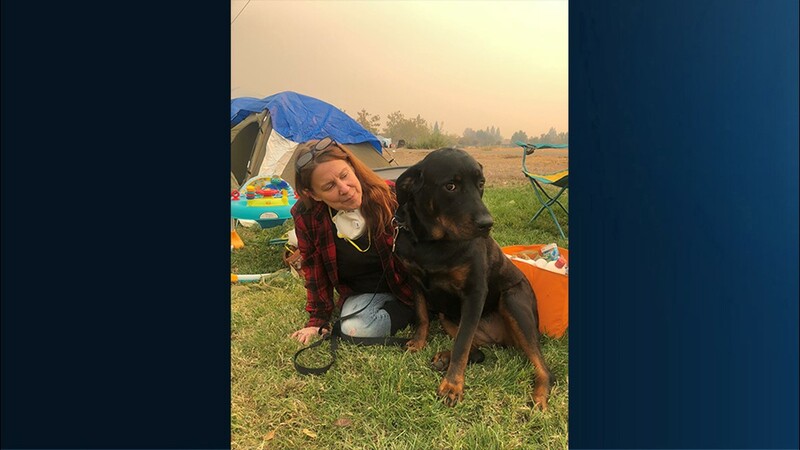 When Andrea Gaylord arrived back at her home off Merrill Drive in Paradise, she was surprised and overjoyed to see her beloved dog, Madison, survived the fire and was waiting patiently for her to return home. "You could never ask for a better animal," said Andrea. "You really couldn't." 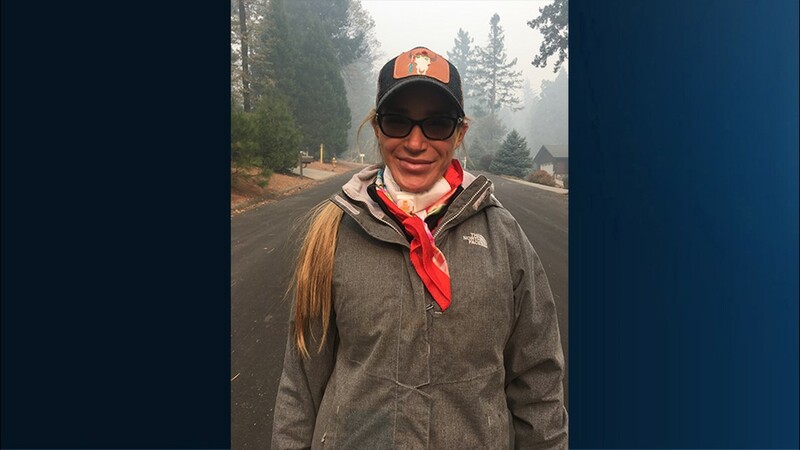 Andrea had a feeling Madison survived the fire so she connected with Shayla Sullivan, a animal rescue volunteer, who checked on their property. Shayla originally was looking for and taking care of Andrea's other dog named Miguel. Madison and Miguel are brothers. Shayla said she kept checking on Andrea's property and left food and water for Madison. 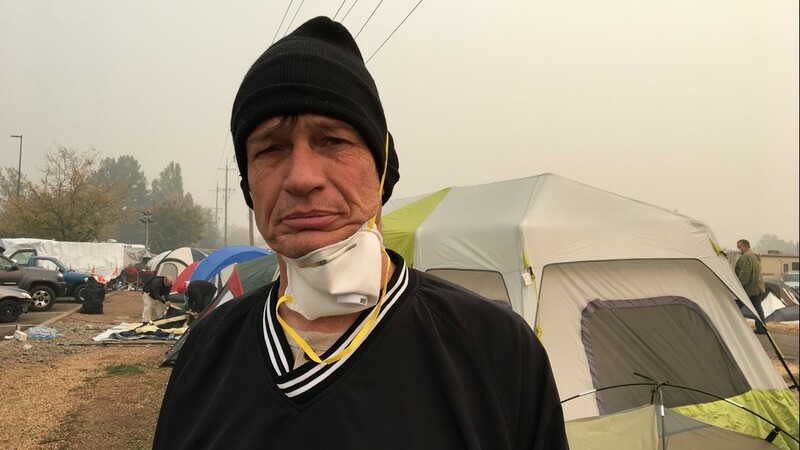 Kevin Jeys chose to stay behind as the fire ripped through Paradise, and he refuses to leave. He has no heat, no running water, and no electricity, but he stayed behind to save his home and his animals. 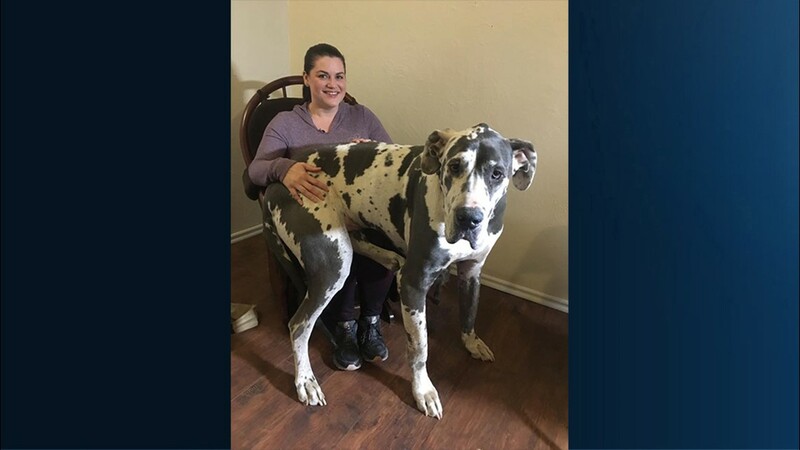 "We have a 17-month-old and five dogs, two Great Danes," Desiree Borden said. She and her husband were offered a temporary rental home that they must be out of before Christmas. 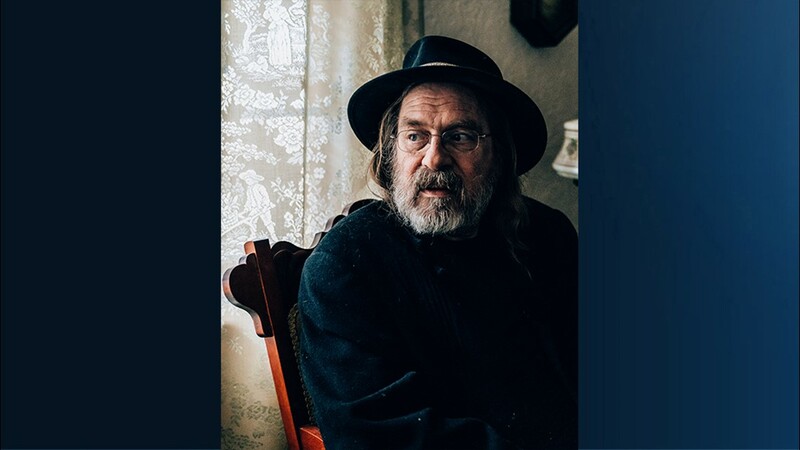 Tom Witherspoon, his five dogs and his home of 40 years still stand. 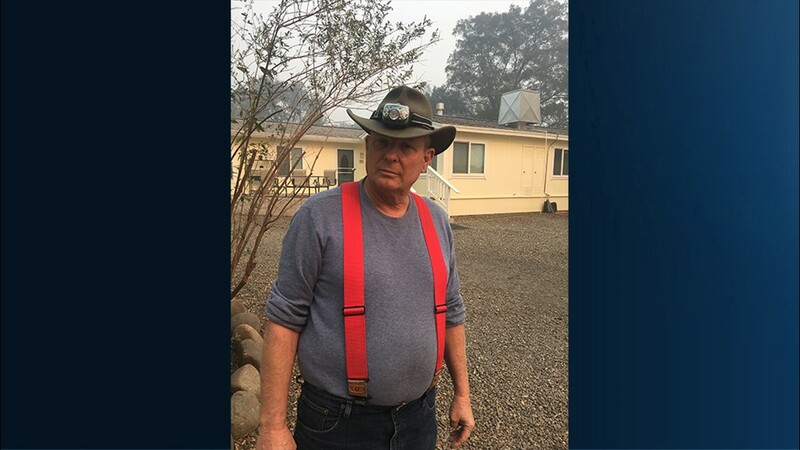 Tom knew, after the fire that hit the region 20 years ago, that he needed to prepare his home to keep it safe. 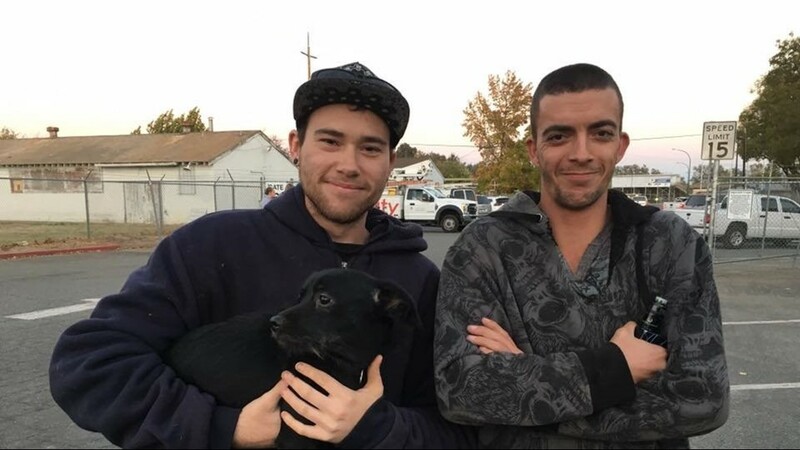 Frank (right) and his two sons Tim (left) and Noah (not pictured) stayed behind to make sure their neighbors in Oak Hill Mobile Home Estates escaped. "We made sure everyone was out," said Tim. "Knocking on doors and some people were asleep." 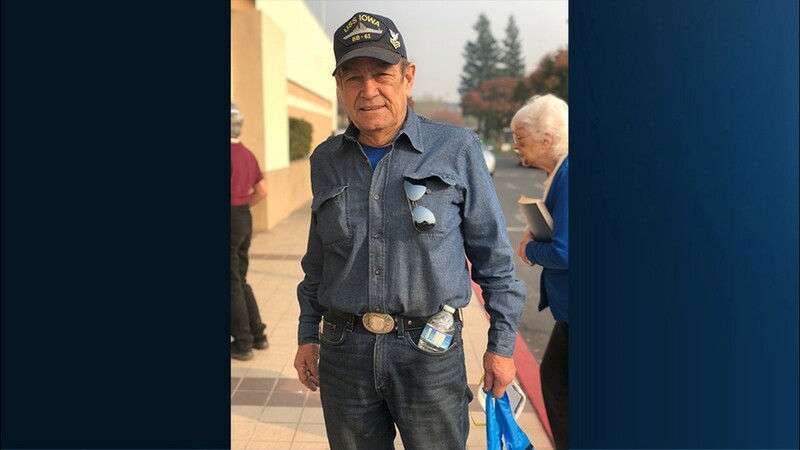 Dean Machado works for Woodlake Cleaners in Lodi. They collected donations at their office to give to survivors of the fire. 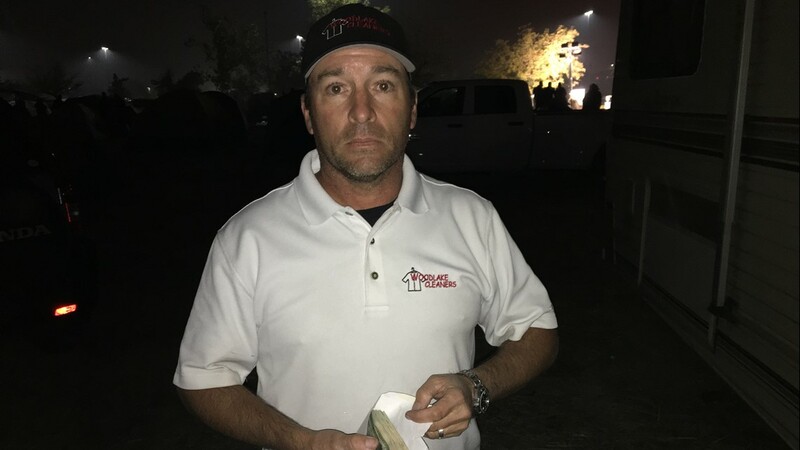 Dean handed out the cash to survivors of the fire. Walter Lane, a veteran, said this is third time he's had to start over. “I had to go over and get a paper license because I just put my pants on and went out the door." he said. 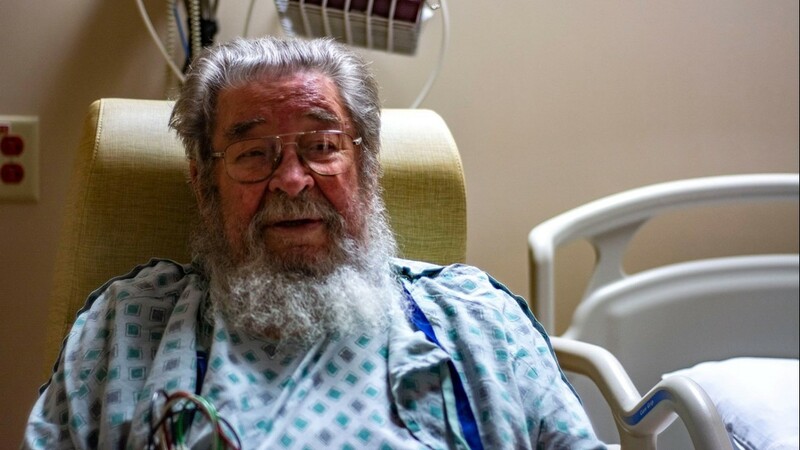 Leroy Hall is recovering from smoke inhalation and diabetic shock in Chico. 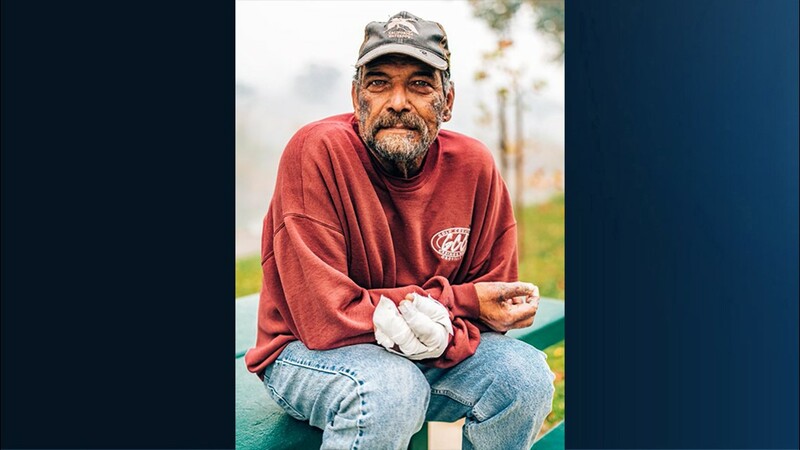 Leroy and many of his neighbors at a senior mobile home park lost their homes and almost their lives. 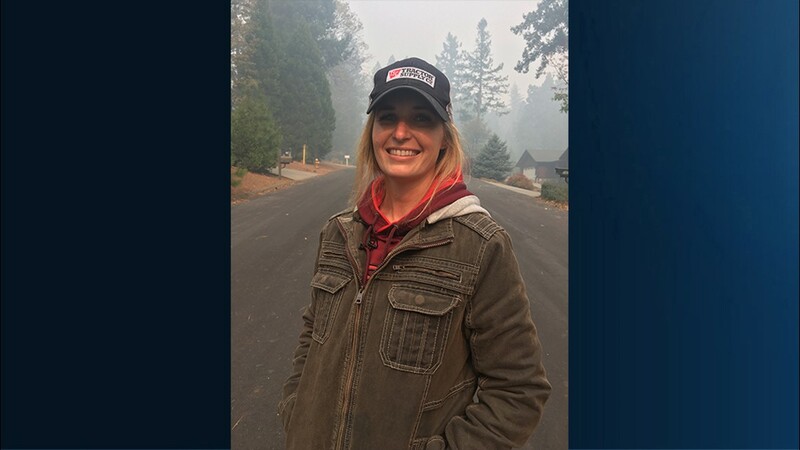 Ashley Prestesater is part of animal rescue team Cowboy 911. With the permission of owners, it is her job to break in to homes and rescue animals that were left behind. 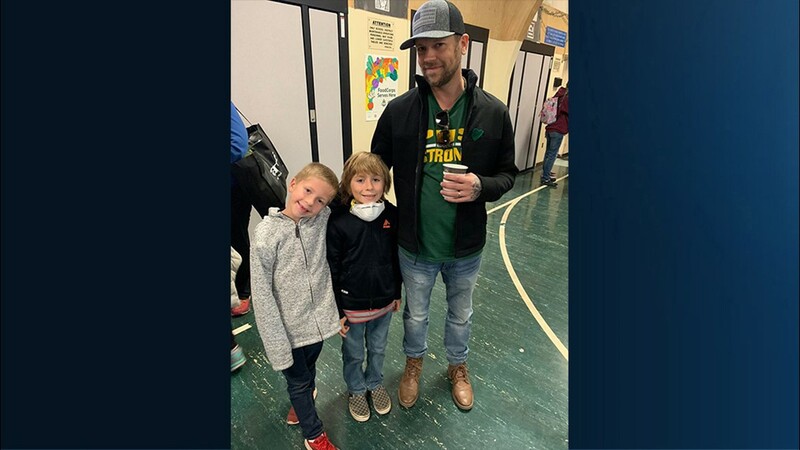 Matt Reddam said that when telling children about the fire it is best to be honest and calm as he did when telling his sons Liam and Caleb. Greg Beyelia (left) gave Wayne Williamson a ride to apply for a job, bought him a phone and took him to lunch. They also found out they were neighbors before the fire. Leah Parker is part of Cowboy 911 and saves animals. “We're on the sixth day, we don't have much time," Leah said. "A lot of hungry animals. A lot of animals out here to get to." 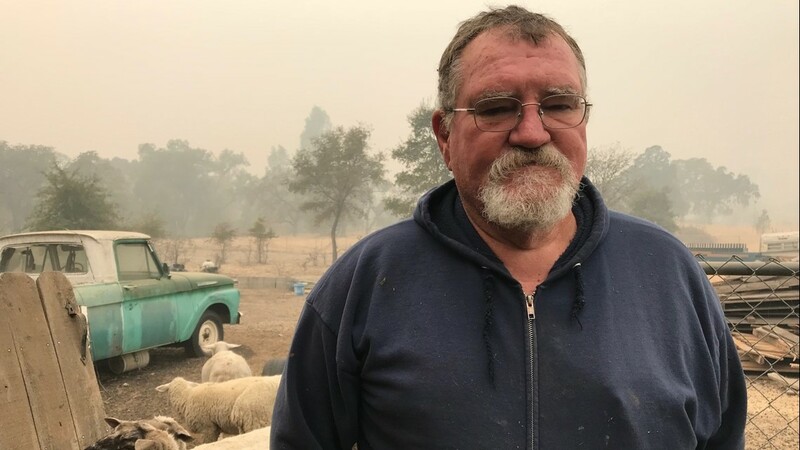 David Doolittle, an Oroville resident, got to feed his animals for the first time in a week after being evacuated from the Camp Fire. 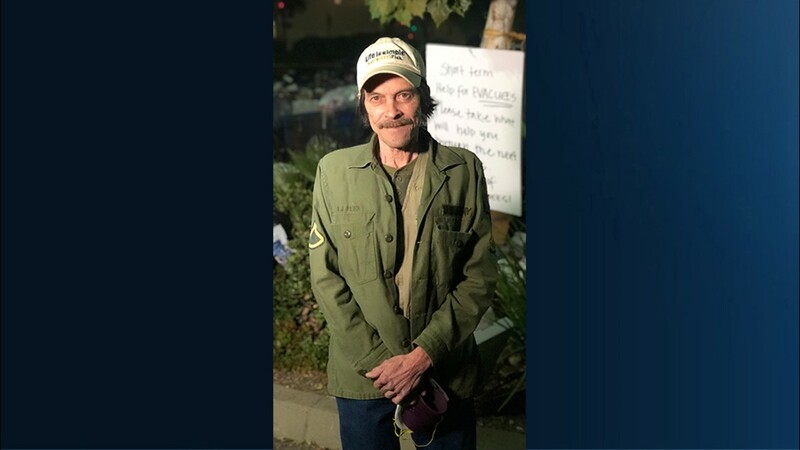 Daniel Hansen was displaced after the Camp Fire and has been living outside the Walmart in Chico for around a week. 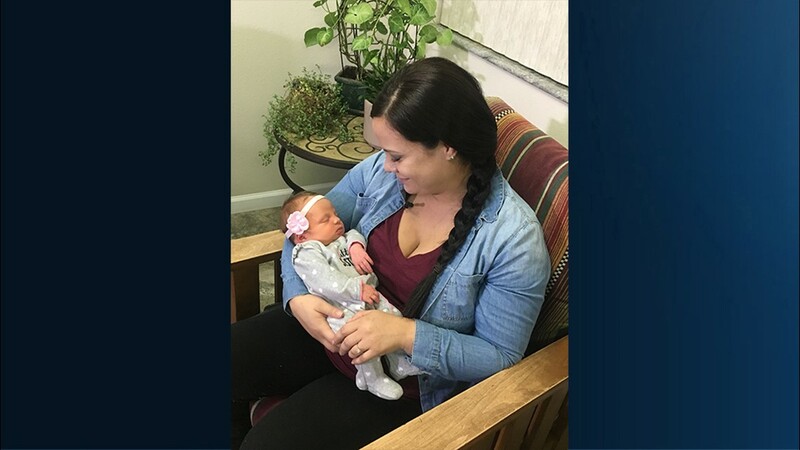 Heather Roebuck had just give birth to newborn daughter Hallie when evacuations began at Feather River Hospital. She was separated from her husband and Hallie during the chaos. For the past few days Reuben has been at work, spending time with people impacted by the fire. 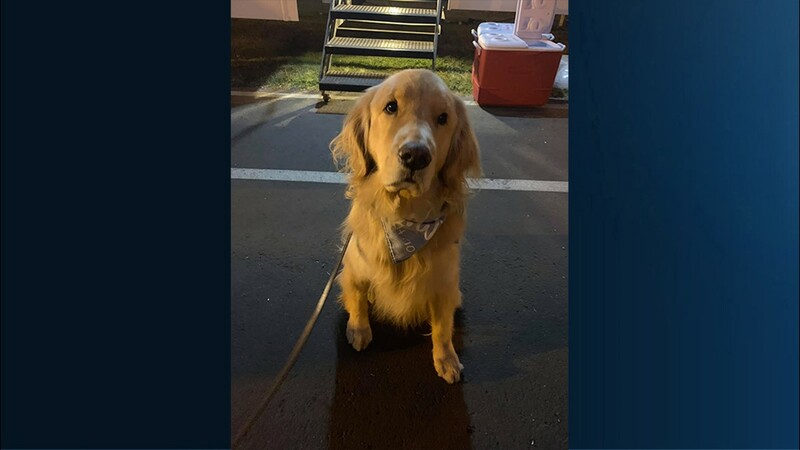 The therapy dog was with first responders when ABC10's Ananda Rochita first met him. 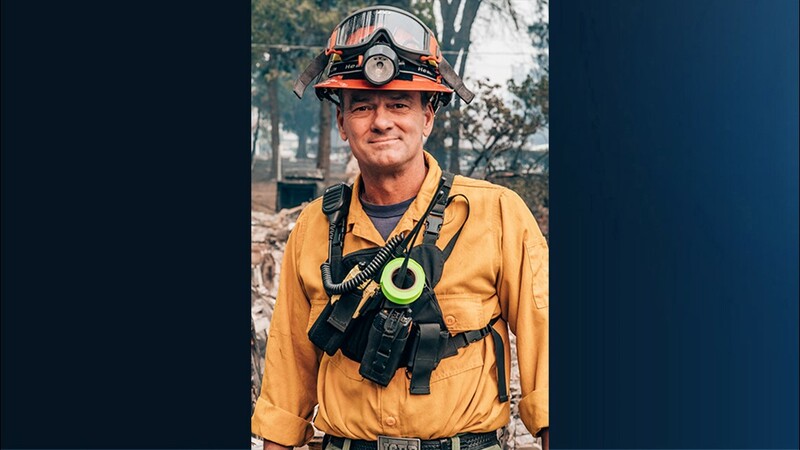 Bob, fire captain from Oregon, and his crew arrived in Paradise Friday. They were tasked with going through the wreckage checking for hazards and bodies. 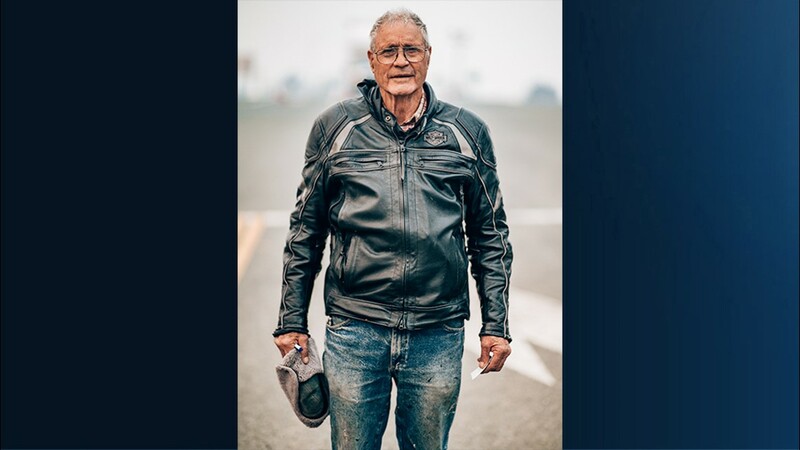 "When many of these people left, their homes were still standing," he said. "Now they're gone." 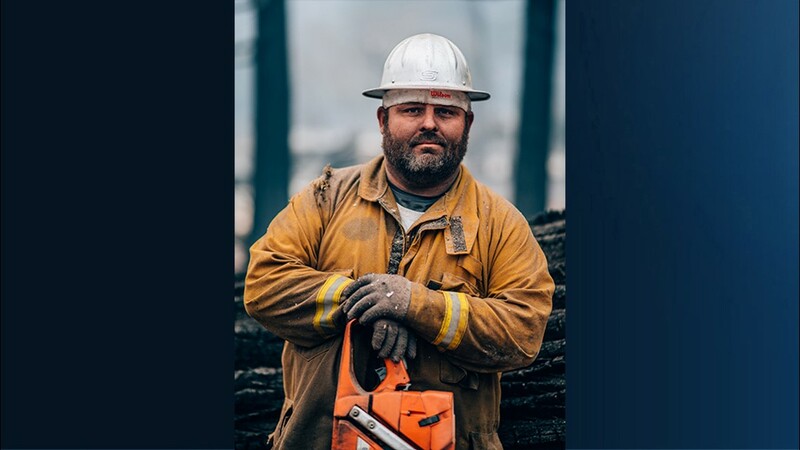 Lance Garwood cuts down fire-weakened trees. He prepped a tree to cut in a neighborhood off Pentz Road in Paradise. He seemed remorseful to cut it down. When homeowners are allowed to returned, he said it'll be one less thing to worry about. Leo Benedetti, 78, was at a roadblock trying to take water into Paradise for his goats. The photographer took the water for Benedetti. His house was standing and goats were alive. The fire stopped close to the home and goats in the backyard. 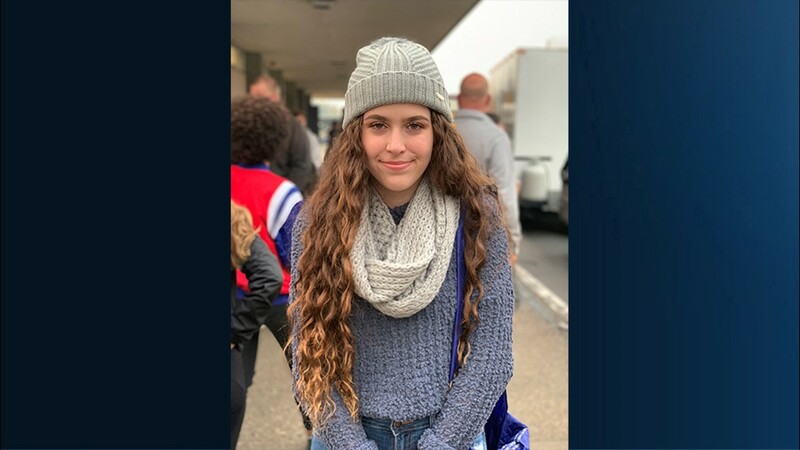 Lexy Friendshuh, a senior at Paradise High School, found out she lost her home Tuesday morning after a friend told her. She said a lot of her friends lost their homes too.Then went to an event planned by her principal to see her friends again. 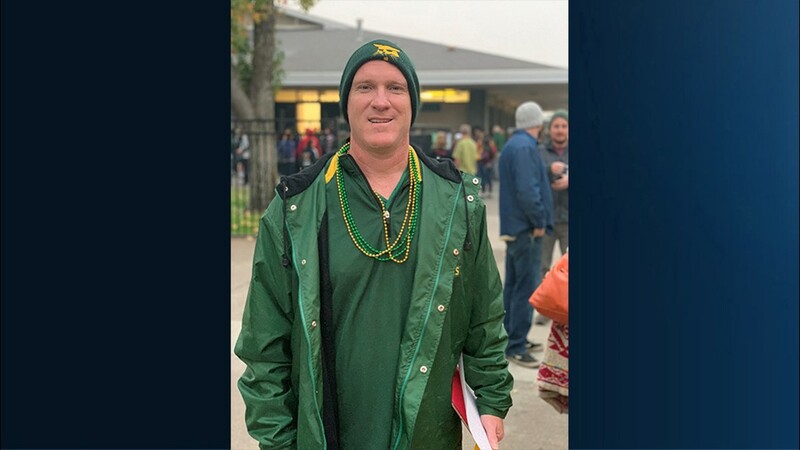 Loren Lighthall, the principal of Paradise High School, organized an event for his studens in Chico. "For high school kids they need to see each other," Loren said. Liane Young, 85, left Magalia early. She needed medication. She's now sleeping in a tent with her dogs. “I lived through World War II, I am going to live through this,” she said. Laura Whitaker and her dog Sadie are sleeping in a tent at the Walmart parking lot in Chico. 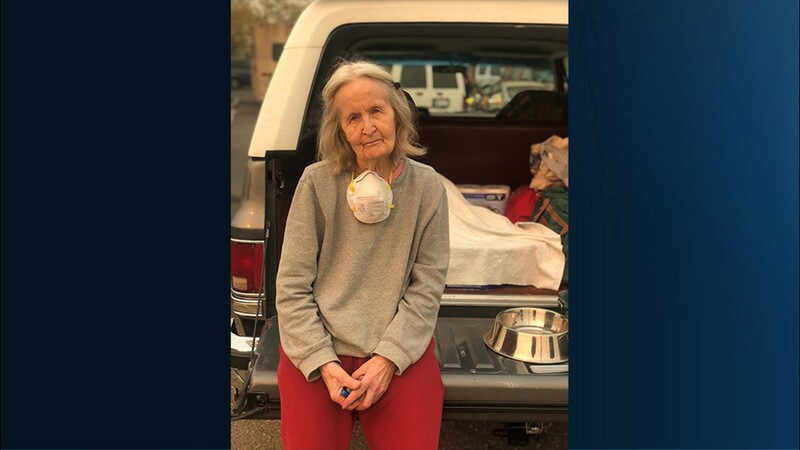 Laura lost her home of 13 years in the Camp Fire. She said she feels stronger now than she's ever has. “I just feel blessed that my kids are ok,” she said. The Hyatt family has a total of 65 people displaced by the fire. 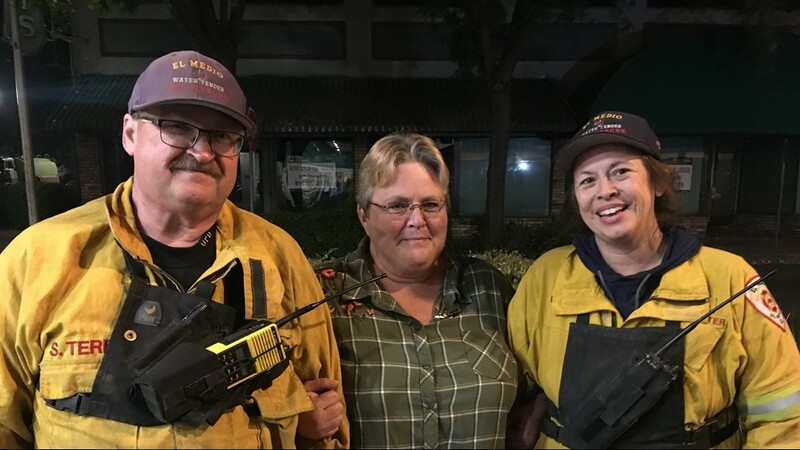 They said they're ok; they have each other and they're staying in Red Bluff with a family member. 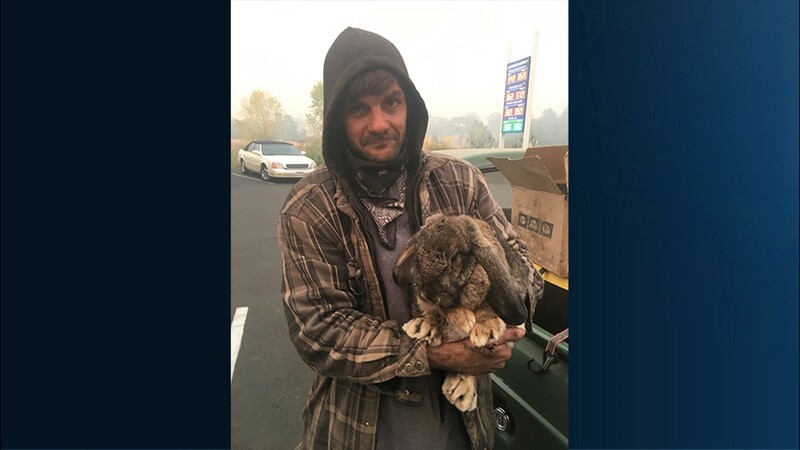 Matthew Masters, Berry Creek resident, grabbed his bunny, pigs, chickens, and dogs, put them in his pickup and rushed them to Oroville. 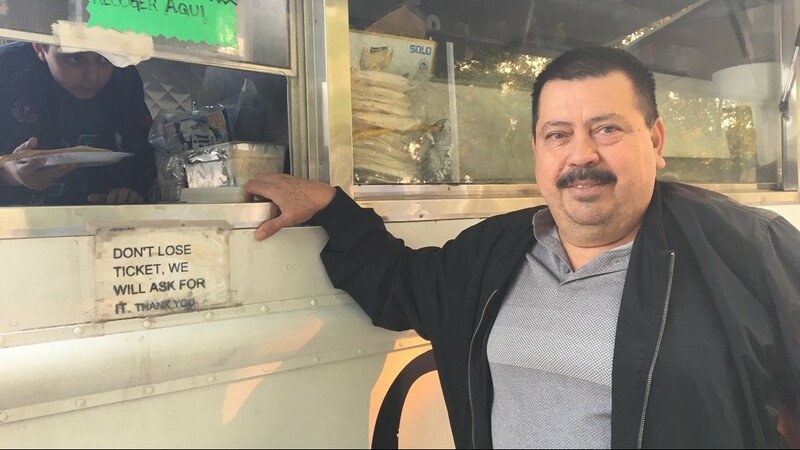 Jose Uriarte came to a Chico evacuation center, and handed food to people who hadn't had a hot meal in days . David Insular said he hopes his home is still standing. He's now living in a Walmart parking lot. "I just want a place to lay down and stretch out for a little bit," David said. Michelle Monnot and Stephen Terry are volunteer firefighters and worked on the front lines. They reunited with Michelle's sister, Dawn Dodele, at a community meeting. 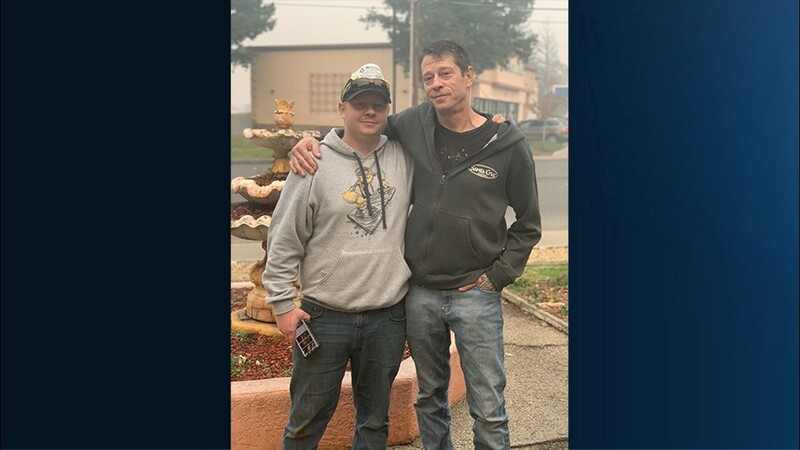 Nathan and George took refuge at Butte County Fairgrounds after evacuating. They rescued this dog on the way. When the evacuation orders were lifted, Andrea went home to see the damage for herself. When she pulled up to the property, Madison was patiently waiting for them to come home. "Imagine the loyalty of hanging in in the worst of circumstances and being here waiting," said Andrea. "It was so emotional." 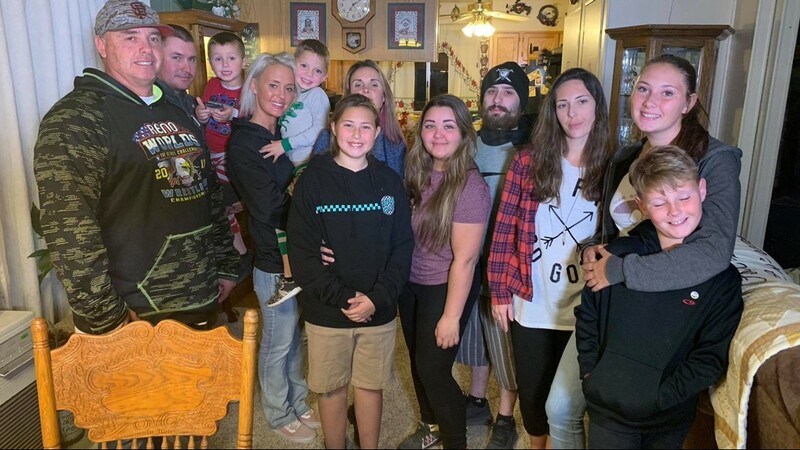 Andrea lost everything in the Camp Fire, but with the help of a few strangers, her family is back together again. "They went up in smoke but I still have a memory and that will never leave." Continue the conversation with Madison on Facebook.